Videocardz has popped the lid on AMD’s upcoming Radeon R9 285 graphics card and leaked a couple of them from various AIBs. It was reported previously that AMD’s Radeon R9 285, which features the latest Tonga GPU architecture will be arriving in August 2014 and could now be confirmed since AIBs already have retail models ready to be shipped to the market. 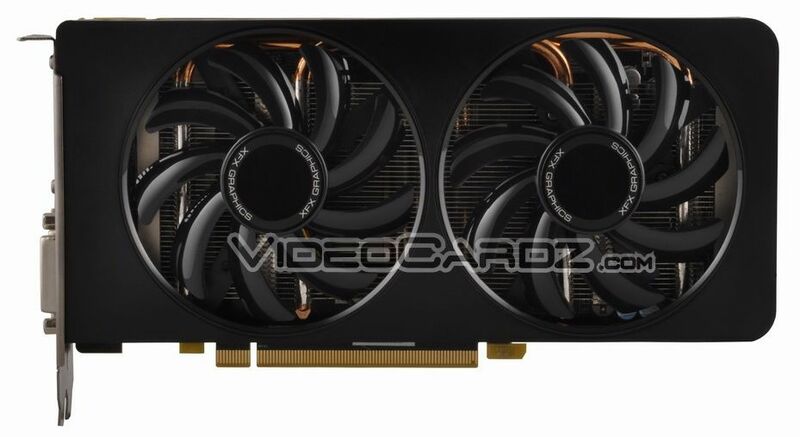 AMD’s Tonga GPU is codenamed the Radeon R9 285 and features the Tonga GPU. It cannot be said whether this is the full core or a skimmed up core “Tonga Pro” since there’s a possibility that the fully enabled core could have the Radeon R9 285X codename. Regardless, we are looking at performance on the levels of Radeon R9 280 while keeping the thermal specs and power consumption at R9 270X levels. This suggests that the Tonga GPU is highly efficient and AMD took this approach due to NVIDIA’s recent Kepler launches which turned out to deliver great performance at absolute low TDPs of 65W (GeForce GTX 750 series). For specifications, the card will feature a 2 GB GDDR5 memory running across a 256-bit bus interface and the clock speeds are maintained at 918 MHz core and 1375 MHz memory which result in a cumulative bandwidth of 176 GB/s. The power is provided through dual 6-Pin connectors and display outputs include Dual-DVI, HDMI and a display port for all three cards. We don’t have any specifics regarding the core count and the number of raster operation units but we should focus on the details we now have whilst looking at the Radeon R9 285 cards. The bandwidth is major decline over the R9 280X which features a 288.0 GB/s cumulative bandwidth so maybe the card is less dependent on it and there’s some secret sauce inside the GPU which we don’t know about yet. The cards we are looking at are from Sapphire (Radeon R9 285 Dual-X), XFX (Radeon R9 285 Double Dissipation) and HIS (Radeon R9 285 IceQ X2 Mini). If you might have noticed, then all these cards feature a heatsink that is featured on the Radeon R9 270 series cards rather the Radeon R9 280 which features more beefy cooling and heatsink solutions. The reason behind this could be the fact that the card consumes lesser power and runs much cooler than what we are used to on Tahiti based cards. As mentioned before, the card is specifically a Radeon R9 270 in terms of design but boasts R9 280 performance thanks to core performance improvements. The design and GPU architecture for Tonga are new and remain a mystery until the cards are fully shown off so that is one reason we can think for the change. The card also isn’t much longer than the R9 280 cards and actually a tad bit smaller so AMD has learned to managed components on their PCBs. It’s not known whether these cards use the reference PCB, but from the looks of it, they are featuring custom designed PCBs. There’s another interesting thing regarding Radeon R9 285 that is the card makes use of AMD’s XDMA CrossFire technology. At the side of the PCB, we can see that AMD hasn’t featured Crossfire gold fingers but instead went with their XDMA route allowing upto 2 GPUs to work in harmony sharing an interconnect path via the PCI-e. This technology has already proved well for the Hawaii graphics cards and the reason why no other cards than Hawaii and Tonga feature this is because the rest of AMD’s lineup were rebrands of previous generation chips. The Radeon R9 285 will be price in the $300 US range which means that Tahiti based cards will be receiving a major price cut as hinted previously to make room for the new cards otherwise having both Tahiti XT and Tonga at the same price will mean poor sales for the inferior product of the two. The card will launch in Q3 2014 and the exact date is pitted somewhere around late August but it is definitely coming out soon and we will start receiving more information in the coming weeks.